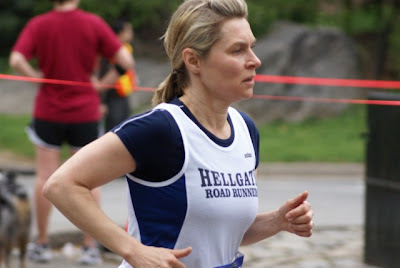 Team Hellgate ran as one heck of a team in Sunday's Run as One Thomas G. Labrecque Classic 4 miler in Central Park and as always there are great stories to tell! Eamonn and Suzanne encouraged each other along the course to finish with personal bests right behind Alan coming off his remarkable Boston feat! Jovana and Lubia (Juan's wife) also left their old times behind them. We have to welcome Mary, Beverly, and Jeff back to the club points racing circuit; it was as if they never left. Jeff also ran a spectacular race last week at the Adidas Run for the Parks! Aurelio lead the men's team to a 17th place finish, while the women's team placed 10th! Hellgaters over 40 finished in 14th for the men and 8th for the women; in addition the ladies posted an all 50's team in 6th place! Congratulations! 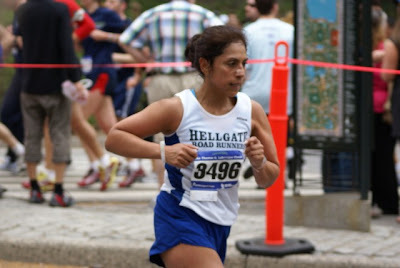 For complete Hellgate race results click here. 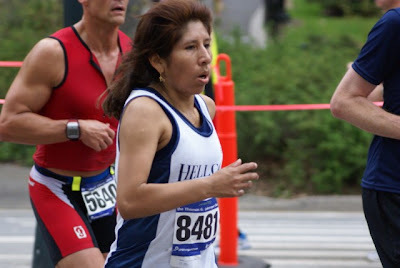 Please check out one of our fearless captains interviewed before the race on the NYRR site. 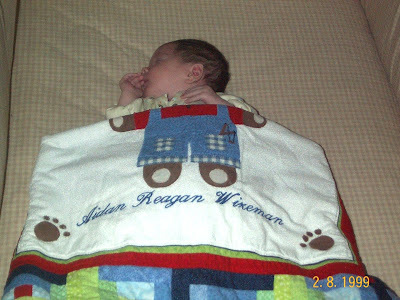 While we were all grimacing in pain over those West Side Hills Matthew and his lovely wife Ashley welcomed their son, Aidan Reagan Wizeman, into the world! Congrats Matt and Ashley! We can't wait to see your little one in his first Hellgate Singlet pair of running shoes! 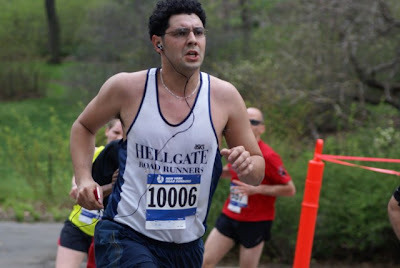 Hellgaters you are all spectacular and Jessica yet again another great race report. Congratulations hellgaters. Sorry to have missed out on another great race by all. Jess you did a fantastic race report. Janine, You should recap the Alley Pond race quick!